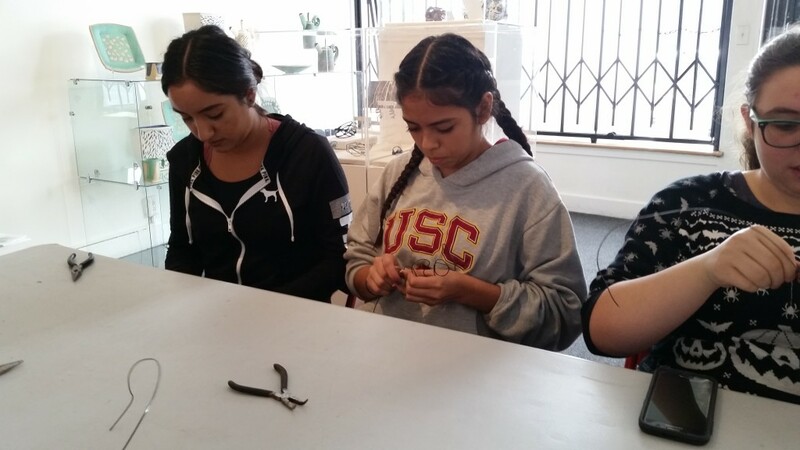 Craft in America Center had the pleasure of welcoming Van Nuys High School students on Monday, 10/17. 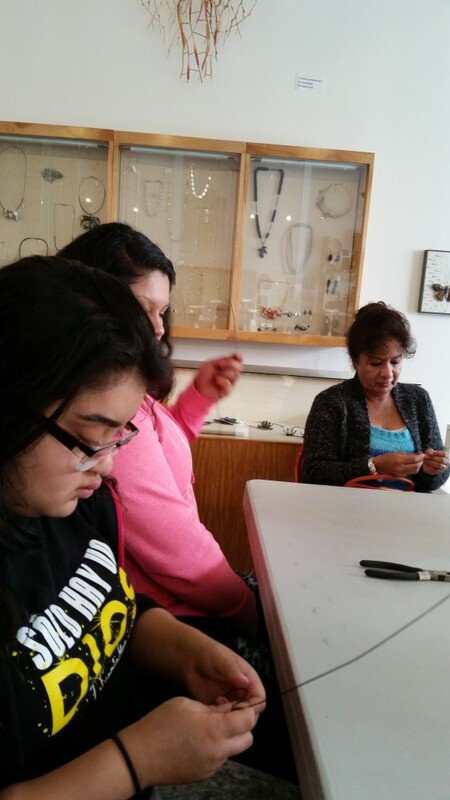 It was the first time the students had ever visited the Center, and for many, the first time ever exposed to political jewelry and the conversations this craft work prompted. 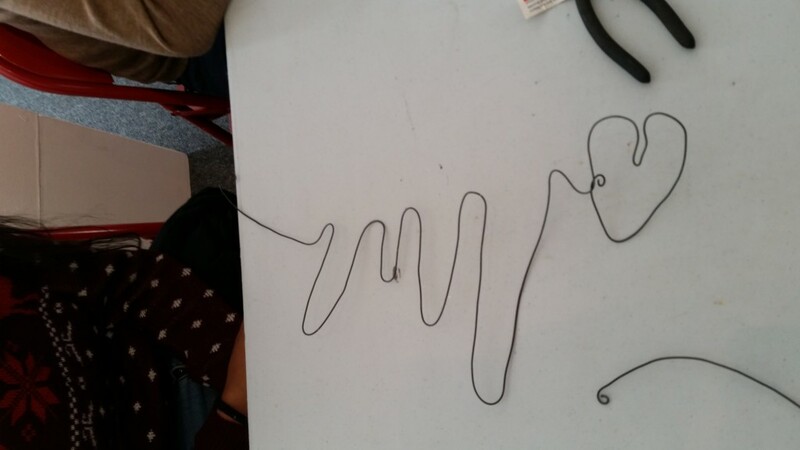 The visiting students participated in two activities related to the Politically Speaking: New American Ideals in Contemporary Jewelry exhibition currently on view at the Center. 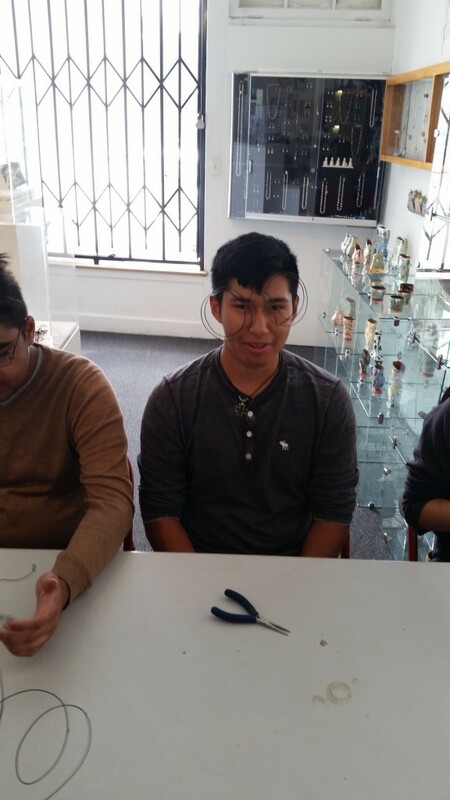 The first activity involved having the students pick a political topic at random from a basket, then chose a jewelry piece from the exhibit that they felt related the most to that political topic. 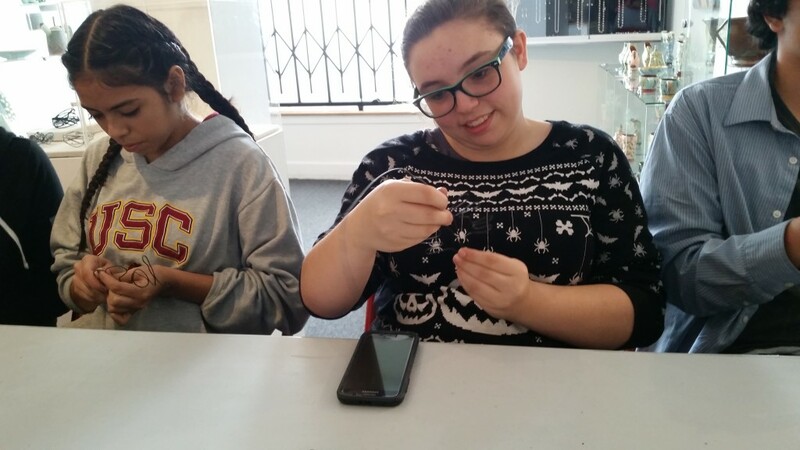 It allowed the students to spark conversation about their perspective in this current election atmosphere. 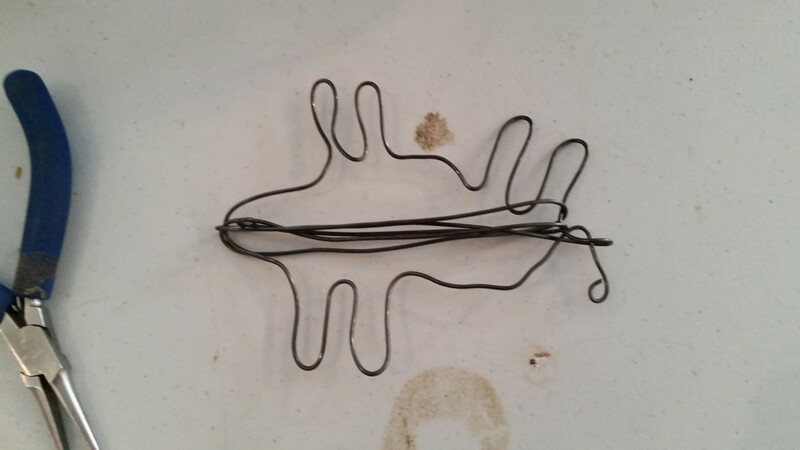 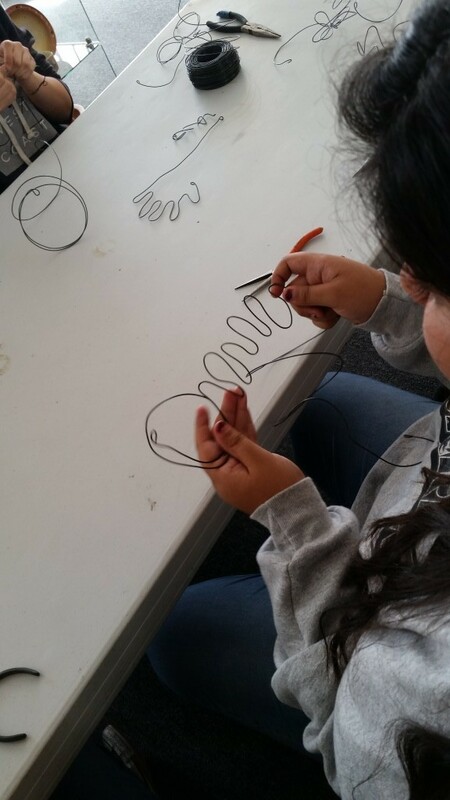 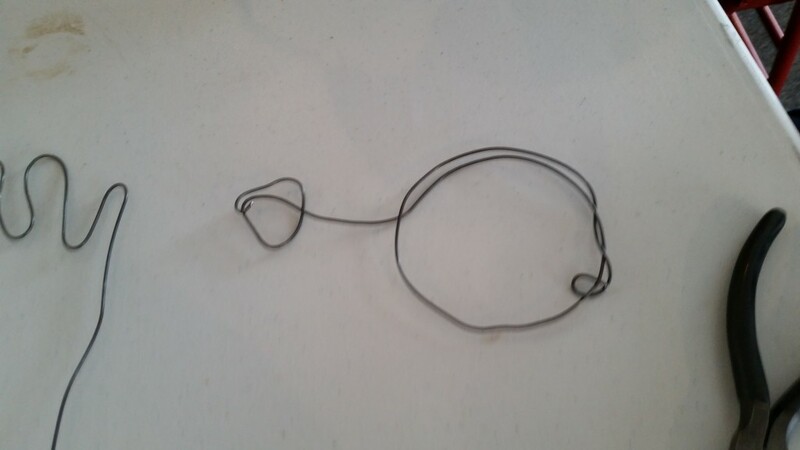 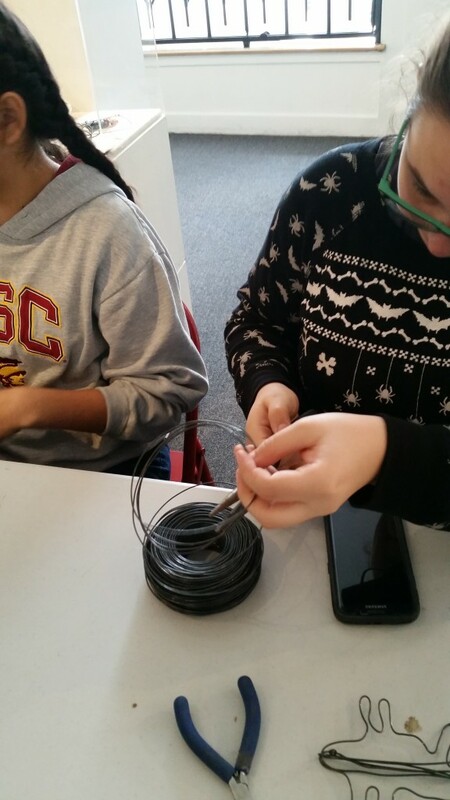 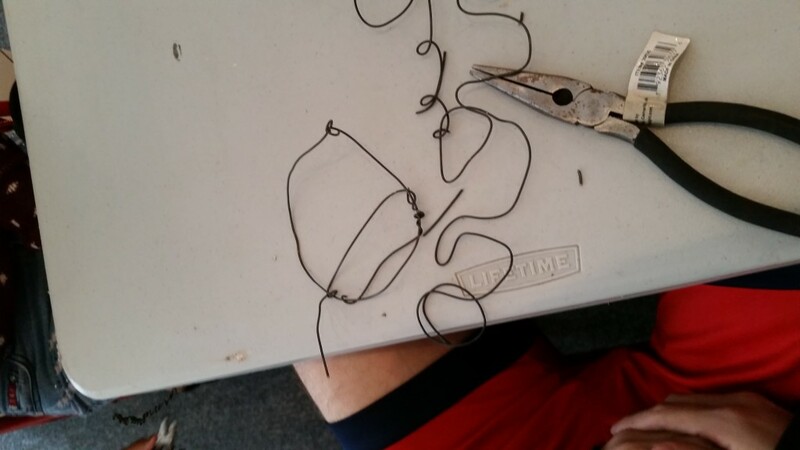 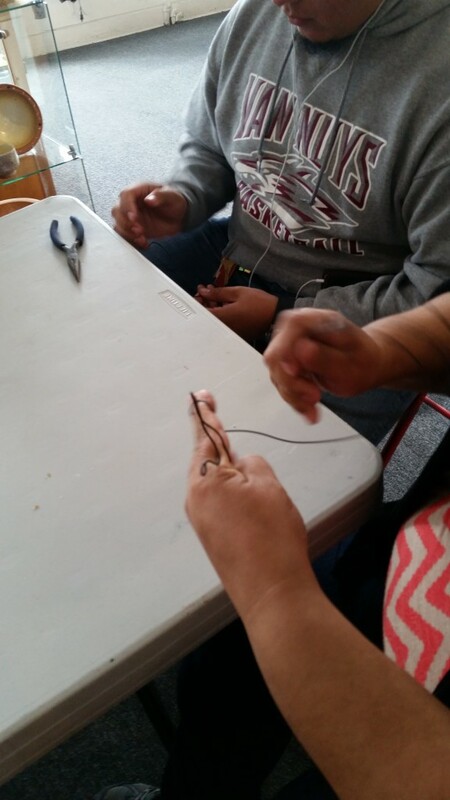 The second activity was a hands-on project involving tie wire. 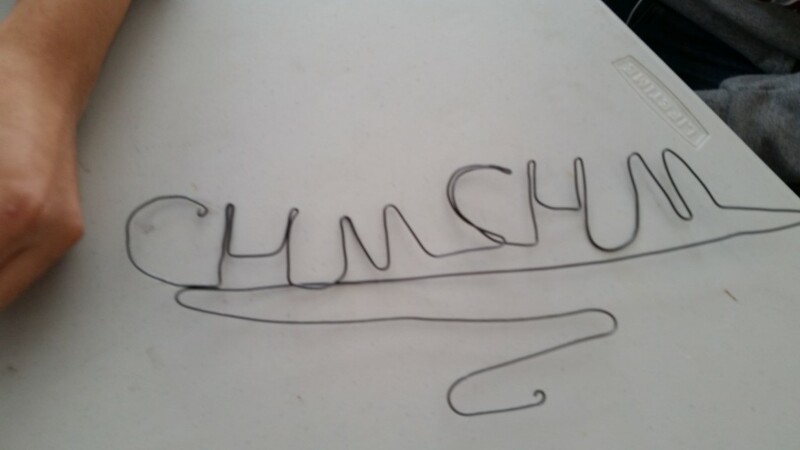 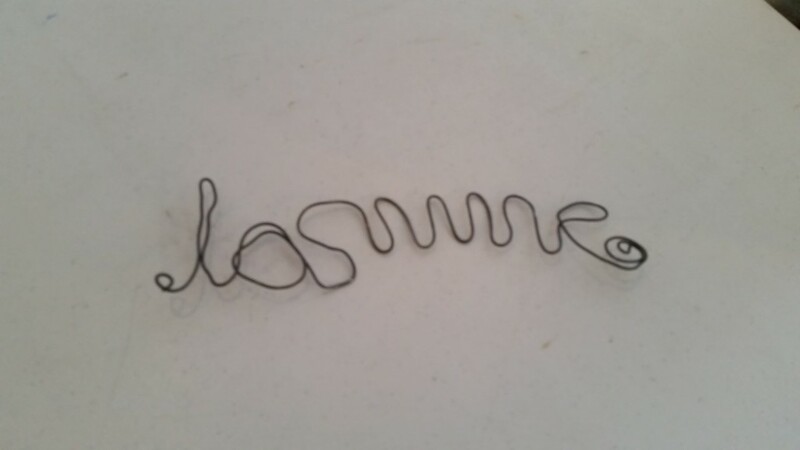 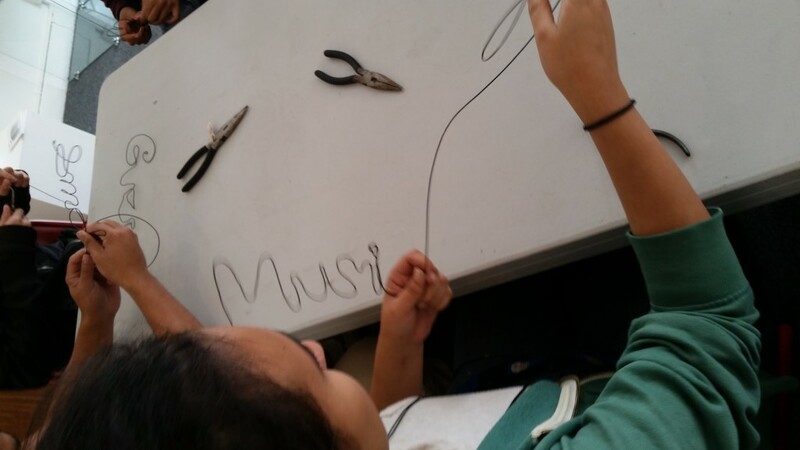 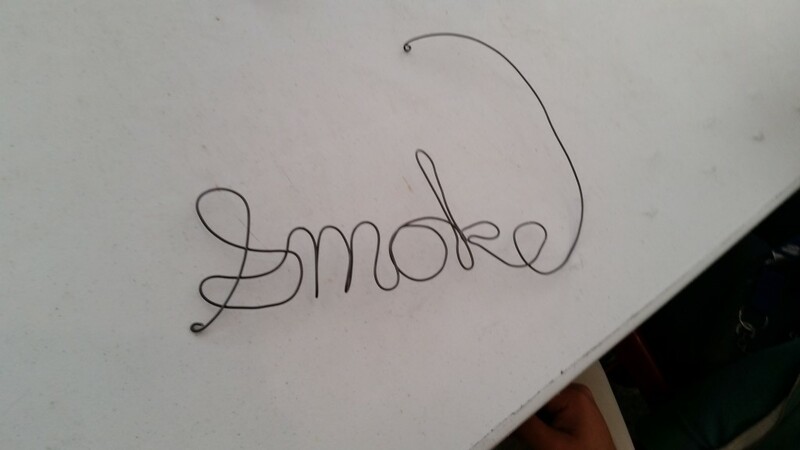 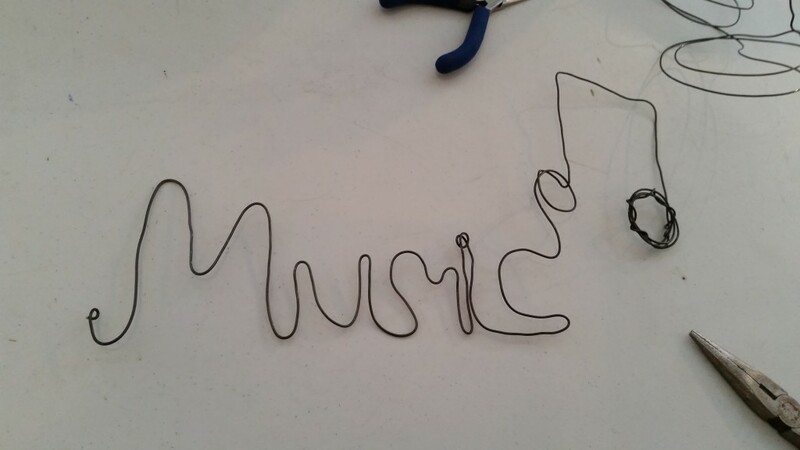 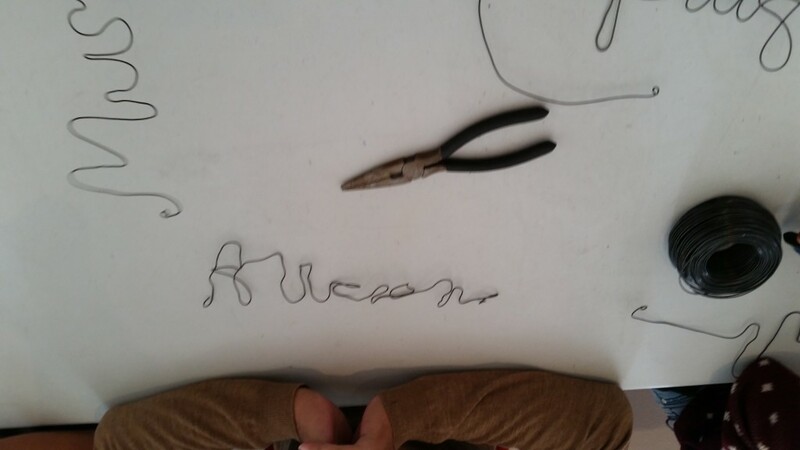 Each student used cut and bent pieces of wire to create words and symbols that represented a political or important theme in their lives. 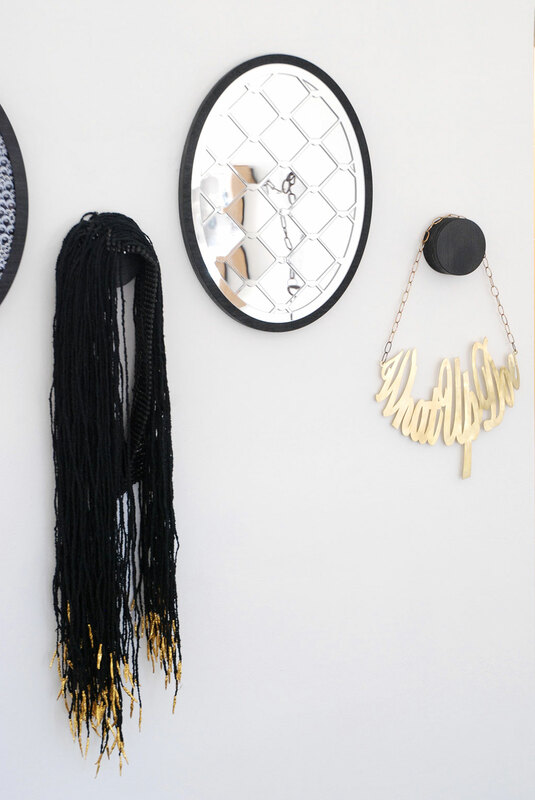 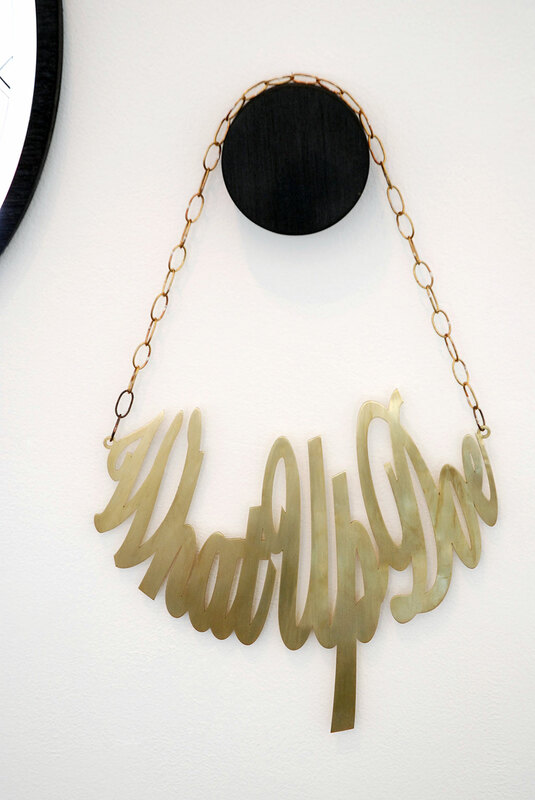 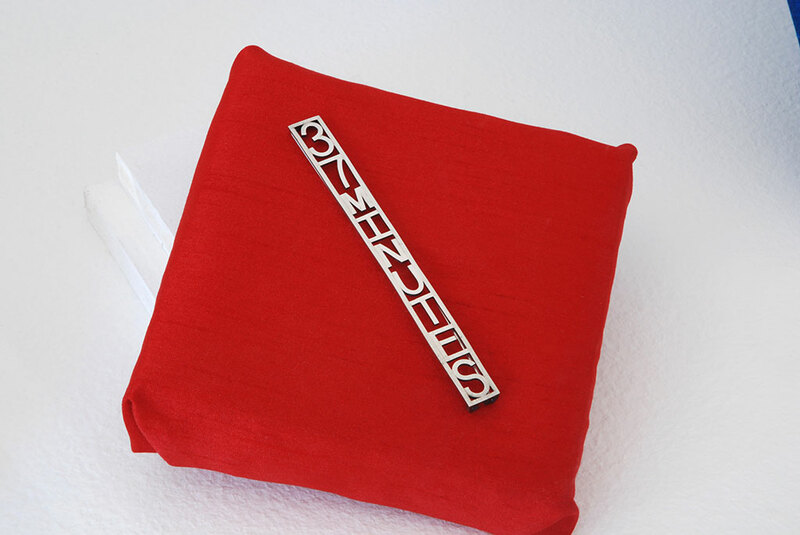 The wire jewelry that the students made was inspired by exhibition pieces like Trudee Hill’s 37 Minutes pin and Tiff Massey’s What Up Doe necklace.